• RBG says LfL sales in the 4wks to NY Eve were +2.6% over last year and +8.7% over two years. • RBG says H1 lfL sales were down 4.0% with an improvement in Q2 over Q1. The 26wk period does not include NY Eve. Revolucion de Cuba is up in LfL terms but the Revolution brand is lower. • Patisserie Holdings interim CFO Nick Perrin has said in an update ‘it was identified that there are many creditors with a large backlog of unpaid invoices.’ In a letter to Rachel Reeves, chair of the Business, Energy and Industrial Strategy select committee, the company says its interim CFO is unaware as to why the previous management team did not publish payment reports. • The Times reports that the Financial Reporting Council approved CAKE’s audit 6mths before its virtual collapse. The FRC is now conducting an investigation into Grant Thornton’s audits of Patisserie Valerie going back three years. It is unclear at this stage as to whether any inappropriate accounting went back to the time of the group’s IPO. • Thai restaurant operator Rosa’s London has reported full year results to end-March to Companies’ House saying revenue rose from £8.2m to £11.8m with EBITDA margins down from 16.8% to 14.0%. • Rosa’s reports EBITDA of £1.6m (2017: £1.4m) with PBT slipping from £723k to £706k. Rosa’s says it ‘expects to continue its expansion plans by opening five to eight sites each year.’ It says ‘many of these are expected to be outside London and the recent opening in Bluewater Kent has shown that the concept is well-received outside London’. • At the time of its March 2018 accounts, Rosa’s was controlled by directors Alex and Saipan Moore. In June, a majority stake in the company was sold to PE house TriSpan. • Bar company Wright & Bell has reported numbers to end-April to Companies House saying that the owner of the Kitty Hawk on South Place reported full year turnover of £2.8m with an EBITDA loss of £456k (2017: loss £351k). The group reported a loss before tax of £1.2m (2017: loss £1.8m). • Wright & Bell reports that post year end, two more sites have opened. The group has accumulated net losses of £3.4m since incorporation with positive shareholders’ funds of £6m. • Heineken’s David Forde has told the Daily Mail that Heineken can take on Coke with alcohol free beer served on tap and in branded glassware. A study from University College London suggests 29% of 16-24yr olds may be teetotal. 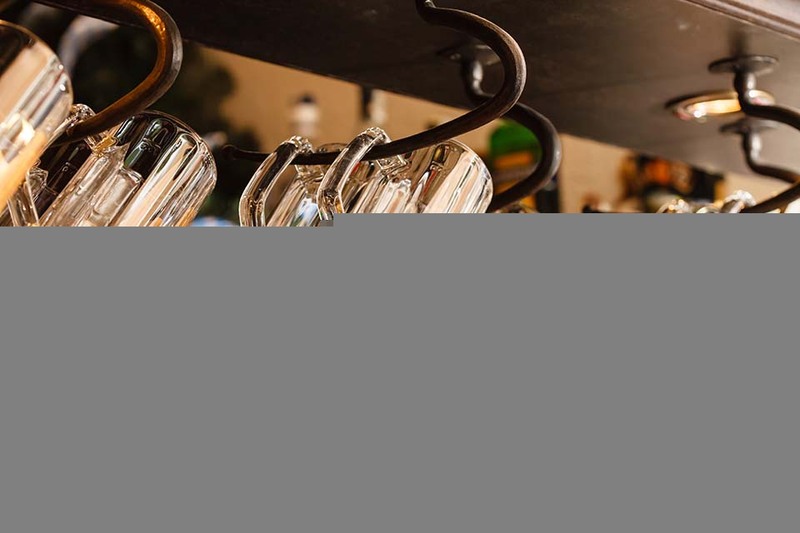 • Data from Barclaycard has indicated that spending in pubs rose 12.9% in December 2018 compared to the same period last year. • Wine wholesalers have been stockpiling wine ahead of Brexit. Alongside potential non-deal tariffs, wine trade also faces an increase in duty on 1 February, adding 20p to the price of a bottle. • US restaurants have seen same-store sales increase 2% in December 2018, research from TDn2K has found. Victor Fernandez, vice president of insights and knowledge for TDn2K commented: ‘The industry’s recovery from a longer-term perspective also continued to show some upward momentum. Same-store sales during the fourth quarter increased by slightly over 1.4 percent compared with the same period in 2016. Two-year sales growth had been negative for the past eight consecutive quarters’. • Chief Executive of drinks distributor Bibendum, Michael Saunders has revealed his concerns regarding rising drink costs in London’s restaurant sector: ‘Having a drink has got very expensive; it is now £9 after service for a glass of wine – that is a lot of money’. 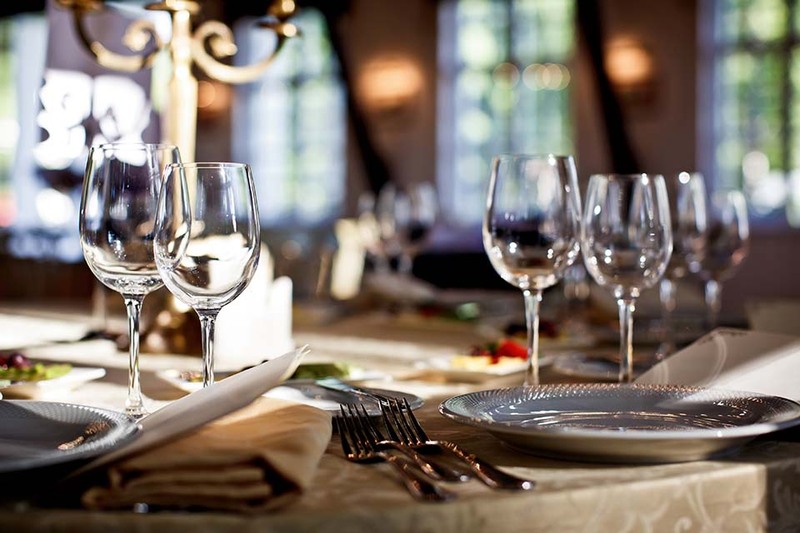 • Vacancies in the hospitality sector have increased 19%, while salaries have risen 7.1% to an average of £28,850 per year. Managing director of CV Library, Lee Biggins commented: ‘Throughout 2018 there was a great deal of competition for businesses to attract and secure the most talented hospitality professionals, hence why the sector has seen such a jump in pay’. • Interested parties have until 15 January to lodge bids for HMV, according to administrators KPMG. It is thought that KPMG have already received expressions of interest from credible parties. • Debenhams is considering closing as many as 90 of its 165 stores as part of a radical turnaround plan, according to the Daily Telegraph. • Worth pointing out that Vouchercodes.co.uk is running an unusually high number of offers for travel & hotel brands. • Hoseasons has reported a 27% year-on-year increase in sales through third parties. Sales director Sally Henry stated: ‘Strong sales figures are obviously great news for us, but they should resonate with the wider sector too. No-one knows what’s going to happen post-Brexit, but the encouraging thing for all of us is that uncertainty doesn’t seem to be translating into bookings’. • Holiday Extras reports advance bookings for airport parking, airport hotels and airport lounges together are up 13.5% for the period after April, claiming holidaymakers are undaunted by the Brexit deadline. The company says it has experienced a turn of the year surge in booking growth in the first week of January. • Post Office Holiday Money reports Bulgaria, Turkey and the Portuguese Algarve are rated as offering the best value destinations for holidays. • Stansted saw passenger numbers up 8% yoy in 2018 to 28m. December saw more than 2m passengers alone, up 10% yoy. • UKHospitality claims UK hotels are being outperformed in every key metric by hotels in the EU. The group demands that government ‘foster an operating environment that enables the hotel market to thrive and remain competitive’. • STR reports US hotel occupancy down 0.4% yoy to 48.8%, ADR up 5.6% to $130.69 and RevPAR up 5.2% to $63.79 in the week ending 5 January. • Heathrow reports a record 80m passengers travelled through the airport last year, an increase of 2.7% yoy. • SpaceX will reduce its 6,000-strong workforce by around 10% as it faces ‘extraordinary difficult challenges ahead’. • Growth in the UK economy slowed in the 3mths to end-Nov to 0.3% per the ONS. The ONS says ‘growth in the UK economy continued to slow in the three months to November after performing more strongly through the middle of the year. Accountancy and house building again grew but a number of other areas were sluggish. • Manufacturing saw a steep decline, with car production and the often-erratic pharmaceutical industry both performing poorly.’ Industrial production fell 0.8% in November per ONS. • Sterlign up at $1.2849 & €1.1193. Oil down at $59.81. UK 10yr gilt yield up 1bp at 1.29%. World markets down Friday with Far East mixed this morning. o Jeremy Corby says exiting the EU without a deal would be ‘catastrophic’. Mrs May has said no Brexit is now more likely than no-deal. This may remove any bargaining power that she had left with Brussels. Bloomberg says 65% chance of Brexit not happening, at least by its first due date of 29 March. o Brexit vote due tomorrow. Vote of confidence possible Tuesday or Wednesday. Government may 1) fall (unlikely) or 2) come back with Plan B within 3dys, which should make interesting reading. o CBI warns no-deal could cut GDP by 8%. Some still insisting that this is untrue. Mrs May says failing to deliver Brexit would be ‘catastrophic’ for democracy. The word ‘catastrophic’ getting a good airing these days. o Economic concerns dubbed Project Fear but apparently warnings that right-wing thugs will take to the streets (per Chris Grayling, who should really have enough on his plate keeping the trains running on time) if there is a democratic vote to stop the current process is not. This latter labelled ‘gutter politics’ by Labour. o Unfortunate tribalism to the fore. Mrs May & Chris Grayling ‘reaching out’ in the Express & the Mail. Boris in the Telegraph with the other side speaking to Guardian, FT & the I. • Patisserie Holding’s shares still suspended 3mths after near-death experience. Were meant’ to relist within a week? What’s going on? • Discounts available yesterday were, arguably, an insult to those often asked to pay ‘full price’. Many, many 40% off offers. that Debenhams’ bondholders have first call on the company’s assets and will be fighting for their rights in the inevitable restructuring. The lead story in the market report in the Telegraph was the news that the Debenhams share price plunged to a new low, below 4p, on Friday and there was a scathing Business editorial article about the way in which private equity had pillaged Debenhams over the years (headlined “Vultures have been feasting on Debenhams for at least 14 years”), focusing on the big sale and leaseback property deal in 2005. Finally, the City Editor of the Daily Mail highlighted that the former Debenhams Chairman Ian Cheshire is now free to focus on another of his roles, as Chairman of Barclays UK, the ring-fenced Barclays banking subsidiary. news, the Guardian had a feature on the collapse of the US department store Sears and the “Big Shot of the Week” profile in the Daily Mail was of Marks & Spencer Chairman Archie Norman, noting his lack of success as a Tory MP between 1997 and 2005 and concluding that “sinking ships are Archie’s spiritual home”. The “Punt of the Week” in the Daily Mail was Majestic Wine. Finally, the veteran City commentator Neil Collins, kept up his campaign against the Sainsbury/ Asda merger, noting in his FT column that “there is much for the management to do without the distraction of this anti-competitive deal”. fashion premium brand offer provides a solid foundation for future development”. • Hotel Chocolat: If you would like to know how Hotel Chocolat did in Christmas trading then you will have to wait until next week, but in the meantime the company featured in a “fly on the wall” documentary last night on Channel 5, which may help City sentiment a bit. We only caught the second half of the programme (which was one big advert for the business basically), but we enjoyed the visit of CEO Angus Thirlwell to the cocoa plantations in St Lucia and the customer vox pop around the opening of the store in Sunderland, in The Bridges shopping centre, back in early March. • News Flow This Week: This week will be dominated by the key Brexit vote in the House of Commons tomorrow evening and its aftermath, as the political drama and chaos/uncertainty continues…but there is still plenty of Retail company news scheduled for this week, even after the recent rush. We get the Boohoo update and the Games Workshop interims tomorrow, whilst the interims from the stationery chain The Works are on Wednesday. Thursday brings the ABF (Primark) update, the N Brown Q3 update, the Game Digital AGM update and the Signet update in the US. Then Friday brings the ONS Retail Sales figures for December. In the meantime, a lot of industry commentators have flown out to sunny New York, for the big NRF Retail trade show/conference.